Using intelligence gathered with the Innovation Radar method, the European Commission has, since 2015, been awarding the annual Innovation Radar Prize to the best EU-funded innovators. In 2017, 48 innovators were identified to compete for the Innovation Radar Prize. The public was invited to vote for their favourite innovators from among these 48 in a month-long public vote that closed on 15 October 2017. On the basis of this vote, 20 finalists in five categories were identified. The 20 finalists pitched their plans for going to market with their EU-funded innovation to a jury of experts at the at ICT Proposers' Day in Budapest on 9 November 2017. 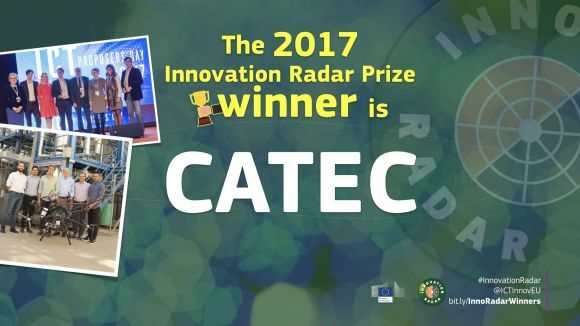 The overall winner of the Innovation Radar Prize in 2017was CATEC, a major European research centre for aviation technologies in Spain. CATEC developed "AEROARMS" drones that not only allow to "see" from air but also to "touch and feel". The CATEC drones will be used to perform industrial inspections (such as ultrasonic) that require contact. 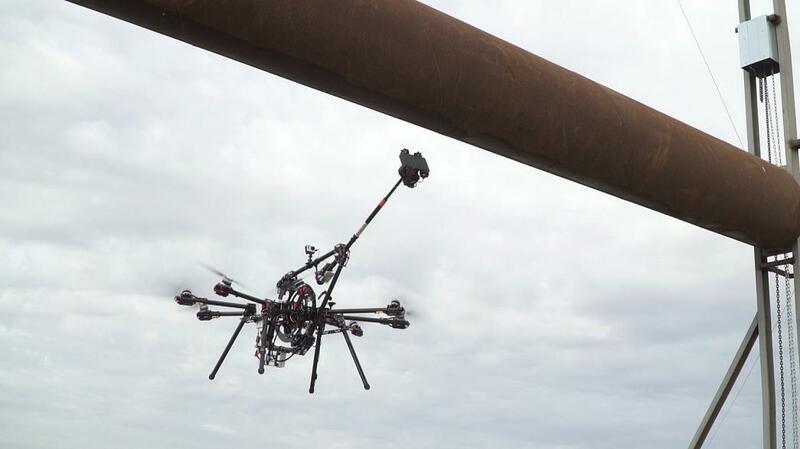 Using the drones will speed up the process of many tasks and creates safer work environments (for example in oil or gas refineries), as users don't have to work at great height anymore. Market expectations of EUR 300 million/year just in Europe motivated CATEC to patent its technology. Learn more about CATEC in this euronews feature. The 2017 winner for the Tech for Society category was Amphiro, a spin-off company from ETH Zurich, Switzerland. With the support of the EU-funded DAIAD project they managed to develop an energy-autarkic smart shower monitor which allows users to keep track of their energy and water consumption using an app on their smartphone. The winner of the Industrial & Enabling Tech category was the Portuguese SME PLUX. In the scope of EU-funded RAPID-MIX project they developed BITalino, an innovative low-cost toolkit for rapid prototyping of wearable devices and biomedical signal acquisition. Their work is currently at TRL 9, comprising wireless hardware, multi-platform software, programming APIs, post-processing algorithms, cloud connectivity, and many others. The winner of the best young SMEcategory was LeanXcale, a Spanish start-up that created a next generation database management system. Within the EU-funded project LeanBigData, they developed a system that combines operational and analytical capabilities, delivering real-time Big Data. The winner of the best early stage innovation category is BLUMORPHO in partnership with CEA LETI. Brought together under the EU gateone project, they developed a sensor which will reduce the cost of Magnetoencephalography (MEG), an extremely accurate procedure of mapping brains, by a factor of 5. The winner of the Excellent Science category was University College Cork from Ireland. Funded under the EU VIP project, the UCC team developed a new, simple and cheap platform of visualising many types of molecules from bacterial or human cells, to accelerate the development of medicines, or for use in novel diagnostics.